It's not just Zynga that's falling - Since it's hooked onto Facebook, FB isn’t far behind. Is there a way Facebook could separate itself from this bandwagon or should they modify the site and reinstate the importance they previously offered Zynga? No one ever said that creating something new is easy - it definitely isn’t! But, once you've managed to come out with something extraordinary, you're definitely going to be successful and that’s the reason Social gaming (Which was a new concept a few years back) broke all previous records. But, this very Zynga that we all know as being top notch is now falling – is it because of the lack of creativity? Did they always steal ideas from others? Could we the players of these popular games proudly say that they’re all original and entertaining? They may be fun (Also Addicting), but Zynga has been accused of copying. Did Zynga gain all its players just because it hooked on to one of the largest social networking sites - Facebook? Of course Zynga has come out with some State of the art games which millions of people have enjoyed - mainly because they get to play them along with their friends. But, copying ideas from other games is nothing to be proud of. Nevertheless, I must say - Zynga helped revive game ideas that were near dead! They must get the credit for innovating the games so as to make them more social network friendly and entertaining. But, why have Zynga's stocks crashed all of a sudden? Moreover, why is it dragging Facebook along? Is the Fall Due to FB? Zynga is popularly known by everyone for their Popular Games such a Farmville, Mafia Wars, Texas Holdem Poker and the many more amazing games. However, the second quarter wasn't as promising as it should have been. Analysts predicted that the company would earn around 5 cents per share and thereby have a total revenue of around $344 million; but, the actual earnings amounted to around 3 cents per share and hence the revenue was just $302 million. The company isn't at a loss, but it’s below the expectations of renowned analysts and a point to note here, is that it's just the third financial report as a public company. Various sources say that Zynga blames Facebook for its decline - whether this is true or not, I can't say and it isn't what we're focusing on at the moment. We're trying to decide what the actual cause of the fall was and not blame it on another party as a whole. Even though the profits show a decline, the overall active players on Zynga has increased. But, the number of people buying virtual goods has decreased drastically - seems like people now prefer real life goods than Tractors on Farmville! Would you blame FB For Zynga's Quarterly Fall? No way! 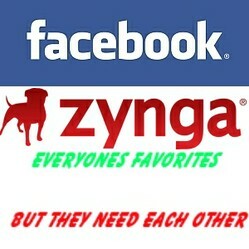 Zynga doesn't own FB and hence FB has the right to do what they think is best. Facebook surely has the right to decide what they want to do, but making foolish decisions is definitely a bad idea. But, FB Shouldn't change just because of Zynga. It needs to change for the benefit of its users. It's my understanding that some integral changes favored newer games, diminishing the monopoly of things like Farmville. Considering that these games constitute FB's second biggest monetization, that seems a bit foolhardy to me. Rather than promoting older games and the ones that are doing well, FB chose to let the people know about the newer apps and games. This change was probably made on the assumption that: If people love it, they'd return, else they'd not want to hear more about it. However, things didn't work out that well for Zynga - especially they're older games such as Farmville and Mafia Wars. Earlier people were notified about each and every game request from friends, as well as when they asked for something - this is what made more people join in and participate. But, as this used to irritate most people, FB doesn't force this on its users anymore - This could be a reasons as to why fewer people are now playing these games. Even though the new changes didn't help Zynga with thier older games, Bubble Safari was a huge success resulting in around 4.5 million installs on the day of its release. This could be just because Facebook now promotes new games and people are already familiar with Zynga - but, success is success. I wonder how long this will last! Do you miss being notified every time someone asks you for a gift? Zynga is by far the largest among browser based game companies; and, Facebook is the sole reason that it's managed to acquire this prestigious position. Farmville is one of the most popular games on Facebook even today; it first saw the light of day way back in 2009 - That's a long time to stay popular considering the fact that it's a browser based role playing game. Even though this particular game has a huge fan base, there are people who hate it as well. The Time Magazine stated that it was one of the worst inventions of the year and plenty of Pro Gamers agreed. But, what could be the actual cause of the sudden decline? There have been changes on Facebook that made Zynga fall back a bit; the exposure that they receive today isn't as great as it was a few years back. But, there's another major cause - Smartphones! A huge number of people now browse entirely on their smartphones and most websites have customized themselves to suit mobile visitors - Facebook being one of them. But, Zynga on the other hand largely depends on PC players at the moment as the games are programmed for PC browsers rather than mobile browsers - that's the reason most of their games aren't compatible on smartphones. Do you play any Zynga Games on your Smartphone? Zynga isn't sitting back and letting its dominant role collapse, they've even tried to establish themselves in the Mobile market. But, they weren't quite successful mainly due to their competitors - Apple and Google. Could it be a chain reaction? Are further declines inevitable? Many of the top analyst’s state that the present quarterly fall could just be the beginning. There's a high possibility that it could lead to a chain reaction and cause further declines in the stock values. After the 41% fall, many would reconsider possessing these stocks and even sell them for a small loss rather than lose a lot further down the road - Hence, the prices would fall even further and a chain reaction could begin. 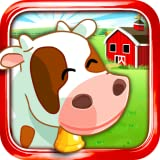 Free Farmville on Kindle Fire! Zynga has a dynamic group of people working under them and they're definitely not going to give up on social gaming. Even though Mobile gaming isn't monetizing well in the present day, there's a high probability that it would out perform PC monetizing in the future. Take a look at what Forbes has to say after an interview with Zynga's CEO. Would it benefit them in anyway? It would be a big step. I've said no, but I could be swayed in that opinion. We all know that original and great games would perform well, but very often new games created using the same basic idea tend to outperform the original work, this is mainly because of the improvements and additional features that are added. Farmville one of Zynga's most popular games allegedly copied ideas and a basic layout from Farm Town and all Zynga did was incorporate a few additional features so as to make the game much better and social network friendly. It's not once or twice that Zynga has been accused of copying games from other brands. Take a look at some of the accusations: Zynga Copied us! It's not just Zynga - Facebook takes a hit as well! Facebook relies a lot on Zynga for its profits as it gets a chunk in revenue from virtual goods bought by active players on the popular Zynga games. Since Zynga's reports weren't positive, Facebook stocks got a further hit! After all, FB gains around 12-15% of its revenue from Zynga. That's what you get for going to sleep, Brandon. :p And Fred is the gentleman who gave me the head's up about Zynga. Certainly fascinating (and worrying!) times for us gamers right now. Never played a Zynga games myself, but relying on PC based is a sure way to reduce you core market nowadays. And I guess that people paying money to increase their play experience have a shorter time versus one playing for pleasure. I'll not speak about RS, still mad at Jagex! Wow! A lot happened while I was asleep! Thanks for pointing it out. Have you heard? Zynga just closed! http://techcrunch.com/2012/10/23/zyng... It announced three hours ago (October 23rd 2012) that it's game over. I hear you both here. The decline of Runescape is breaking my heart. I totally agree with what you've said DryMango, I've played Zynga games from the day they became popular on FB and I've seen the way they changed - It's horrible! Runescape was another game I loved reached 99 in 2 skills and several others (other than prayer) were in their 90's. But due to the crazy changes that happened I quit that too. It wasn't fun anymore. I'm sure that there are plenty of young developers with amazing talent waiting to get their games out to the masses, but due to the blind fold these huge firms place on our eyes, we don't actually see the talent in them. Gaming as a whole is definitely set to change, social gaming especially! Ten years is too long a span, things are moving much faster now. A few years back was just the beginning of all this - but, things have changed and plenty of switch overs have taken place. Smartphones are definitely the next big thing - but it won't be long before something new takes over. I feel like we're in a watershed in gaming anyway. Between the switch to mobiles/Smartphones and the recession, so many changes are being made. I think we won't recognize the gaming landscape in ten years time. Maybe even sooner. Journey of Moses review, tips and FAQ. At last a game has come to Facebook that allows users to interact with each other in a real time MMORPG!